Brandon Cook, a Utah native, received his art education at the University of Utah, where he studied with David Dornan and Paul Davis. As an undergraduate, Brandon developed consummate drafting skills through the classical study of the human form. After graduating with a B.F.A. in 1996, he lived and painted in a rural valley of the Utah mountains. The dramatic landscape that he encountered there sparked, and has continued to propel his thematic use of the landscape as a context within which to explore the space between the material and the immaterial. Brandon is an elemental painter. 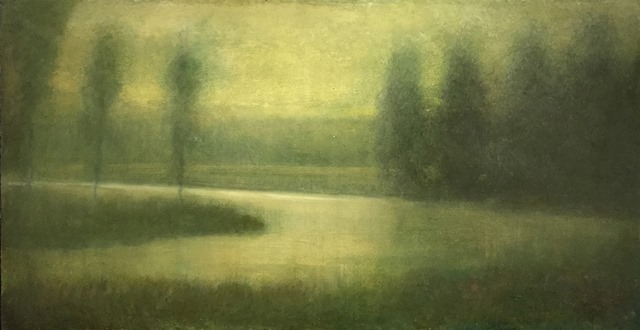 The malleable elements of the landscape allow a painting to come to life on the canvas; in the act of painting – a process that takes advantage of chance and glimpsed possibilities – the creative vision of mind and spirit is fused. Brandon’s interest in the physical qualities of the materials he employs – the viscosity of oil paints, the texture of canvas and the luminosity of multiple glazes – is matched by his interest in the ability of the visible to metaphorically explore the invisible. 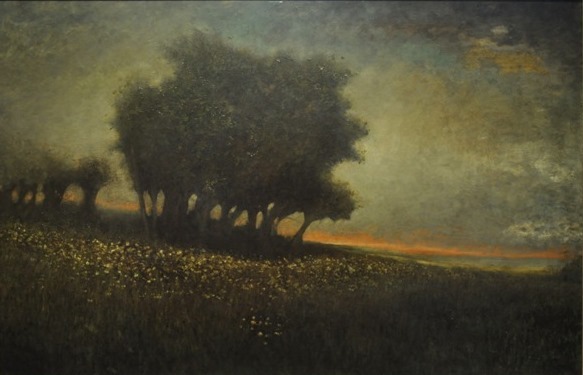 His compositions share both palette and spirit with nineteenth-century American painters Ralph Albert Blakelock and George Inness. Ranging from the drama of stormy skies to the deep tranquility of nightscapes, all are impeccable in their execution and universal in their appeal. Brandon’s paintings have been exhibited in group and solo shows across the country, and hang in both private and corporate collections. He has been featured in many local and national publications. In 2002, Brandon received the distinction of being included, by Southwest Art Magazine, on their short list of Artists to Watch. In July 2006, Brandon was selected as one of the profiled artists in the American Art Collector Magazine. He currently serves on the Board of Directors of Artists of Utah. Brandon and his wife Petra make their home outside of Salt Lake City, with their three children Ethan, Ayden and Isabelle.